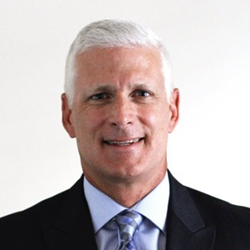 MSA Security, a leader in high consequence threat protection, intelligence, investigative services and specialized training for corporate and government clients, announces that NFL Sr. VP and Chief Security Officer Jeffrey Miller will join its executive management team. MSA Security, a leader in high consequence threat protection, intelligence, investigative services and specialized training for corporate and government clients, announces that National Football League Senior Vice President and Chief Security Officer Jeffrey Miller will join its executive management team this summer as Senior Vice President. Miller will play a key role in the company’s strategic growth and business development within the sports and entertainment vertical. Miller, who has been with the NFL since 2008, holds an impressive tenure, coordinating directly with the Commissioner’s Office, executive staff, Club Ownership and personnel to lead and supervise all facets of NFL security, including investigative programs and services, event security, game integrity program, executive protection, fan conduct initiative and stadium security program. Prior to the NFL, Miller served as Pennsylvania State Police Commissioner with command and fiscal authority over all state police operations for the nation’s 9th largest police organization. Established in 1987, MSA has offices in New York, Washington, D.C., Massachusetts and California with more than 600 employees from elite and specialized backgrounds such as Special Tactics, Bomb Squad, Counterterrorism, Federal and State Law Enforcement Agencies and Military working daily and deployed globally.